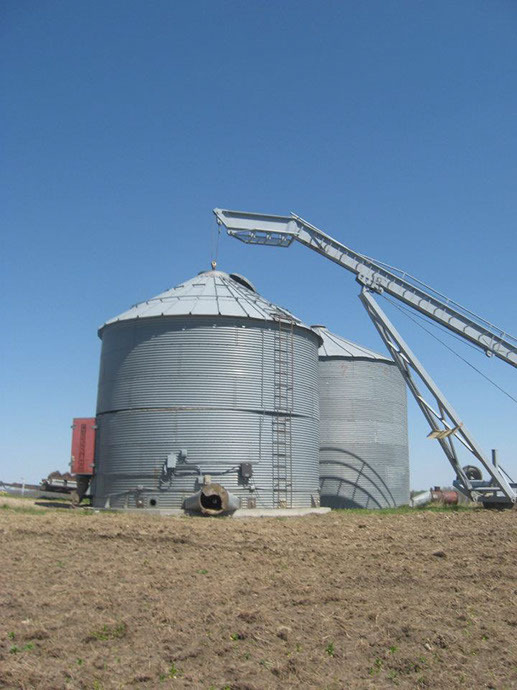 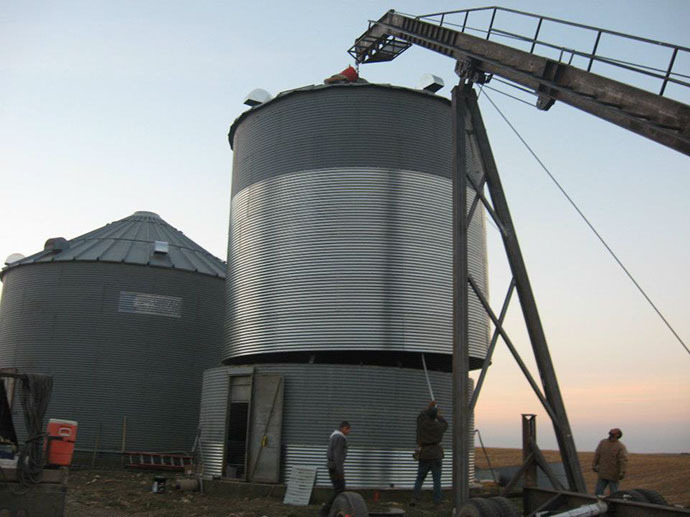 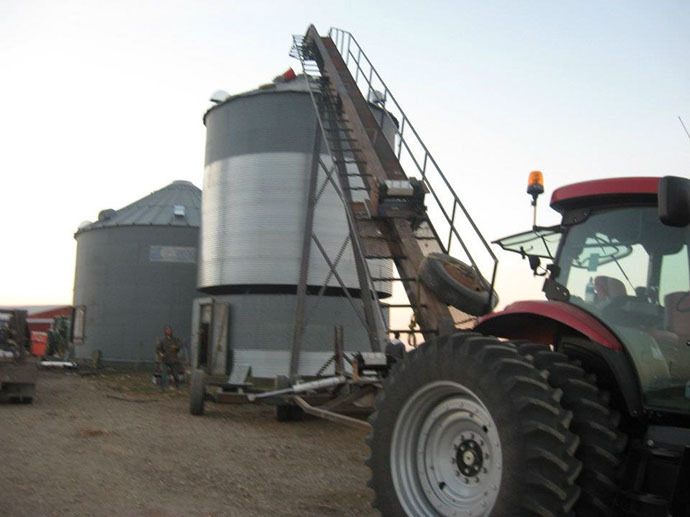 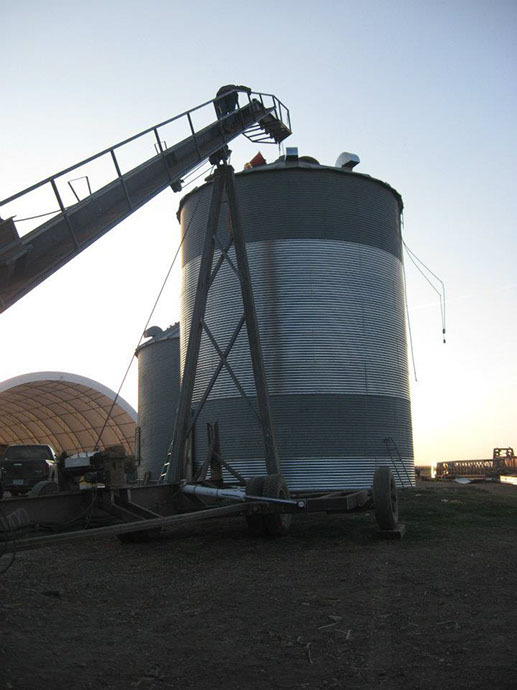 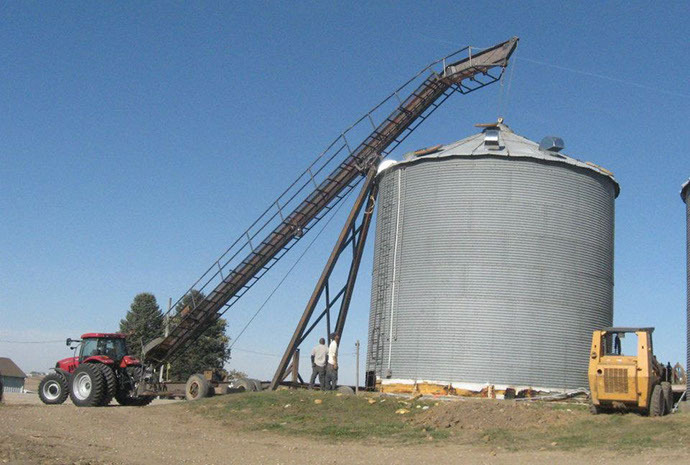 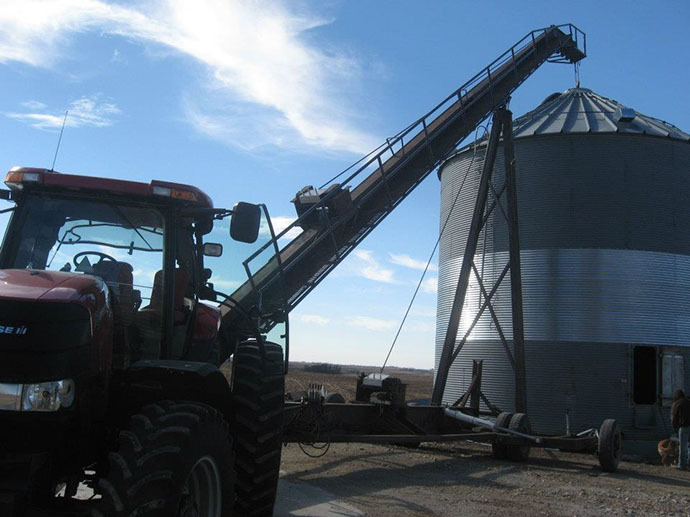 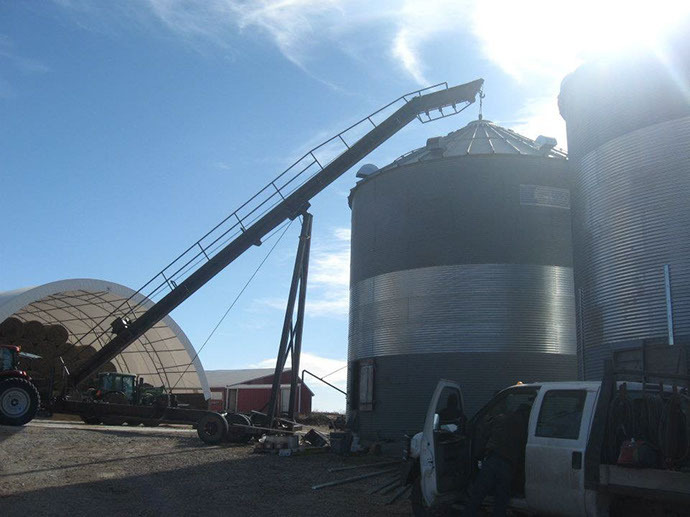 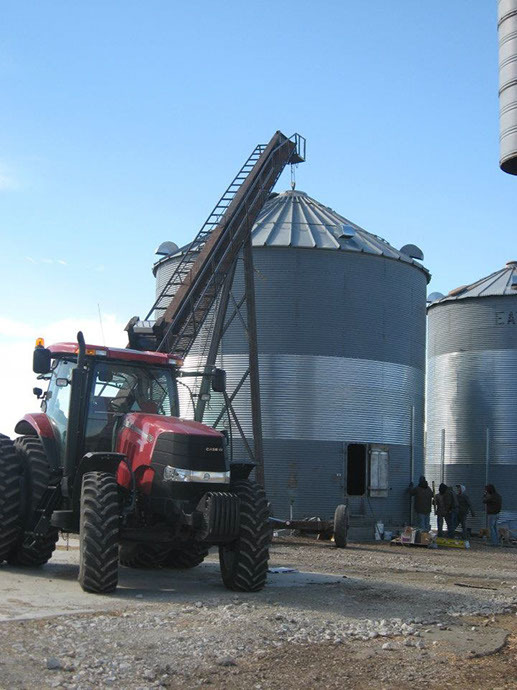 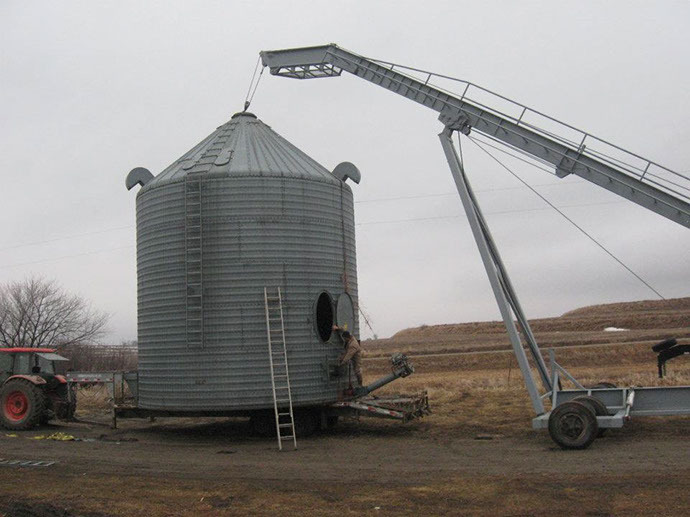 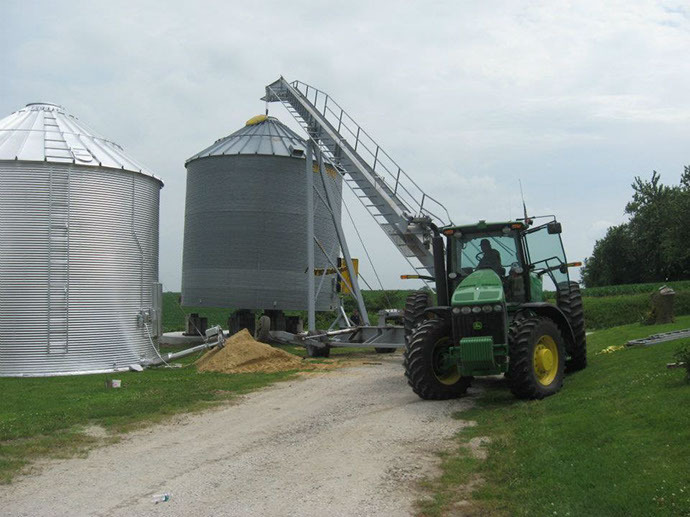 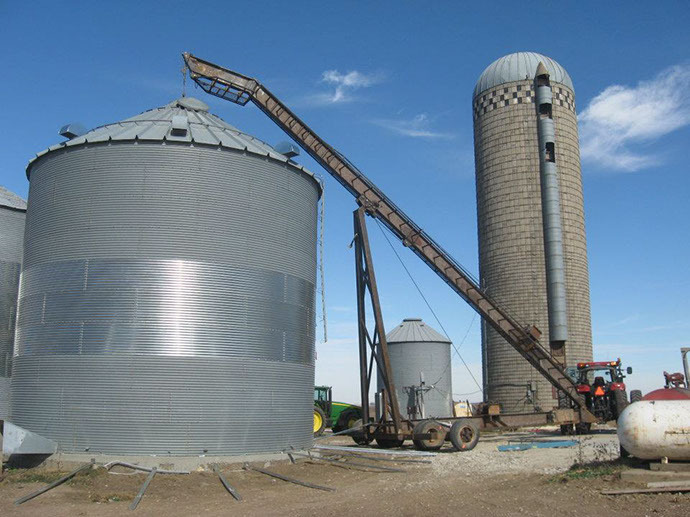 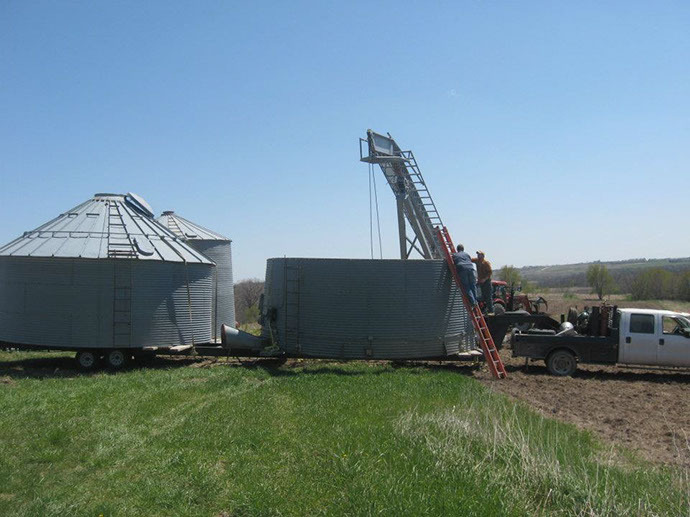 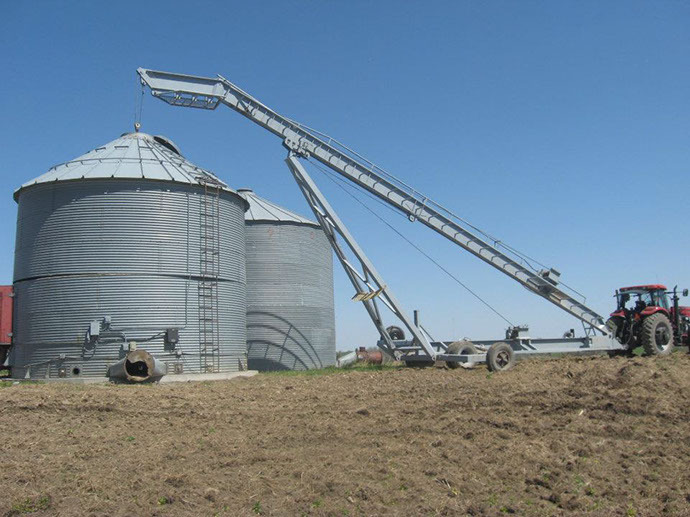 We construct, repair, and transport grain bins and also work directly with Superior Manufacturing to sell their products. 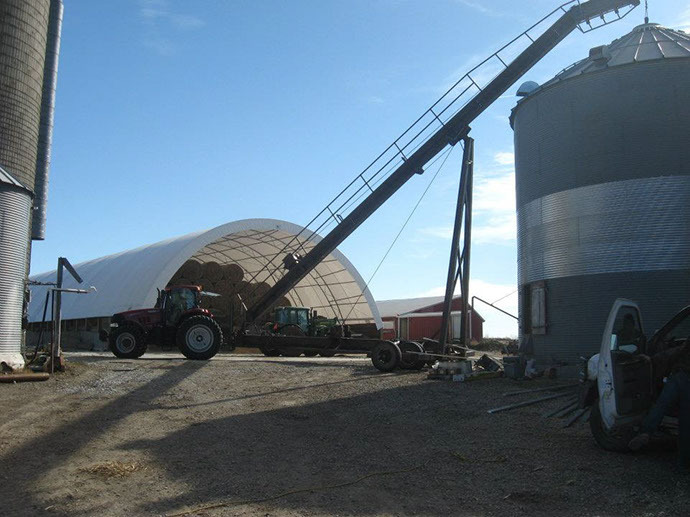 Superior offers a combination of an 8,000# roof with a 37# snow load and 90 mph wind ratings. 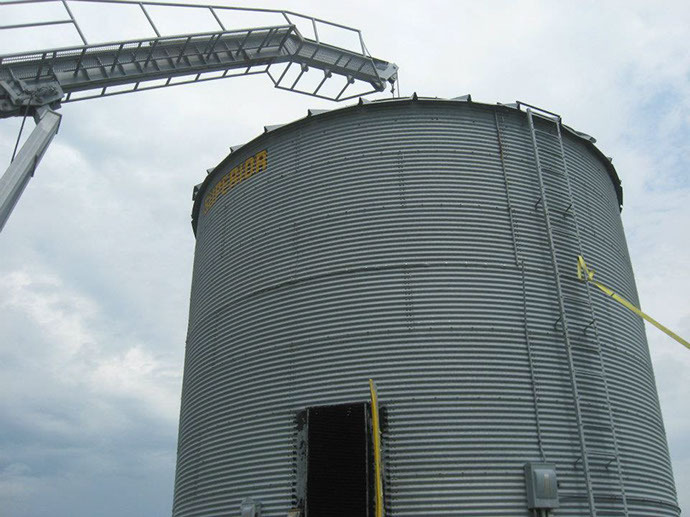 High tensile steel, tall 3 ½” roof ribs, rigid roof panels, standard wind rings and continuous side wall to roof eave connections make Superior the heavyweight in grain bin roofs. 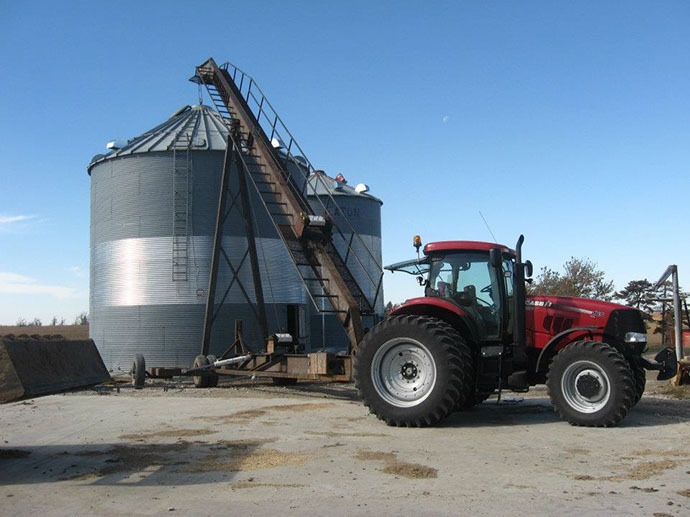 Five year warranty. 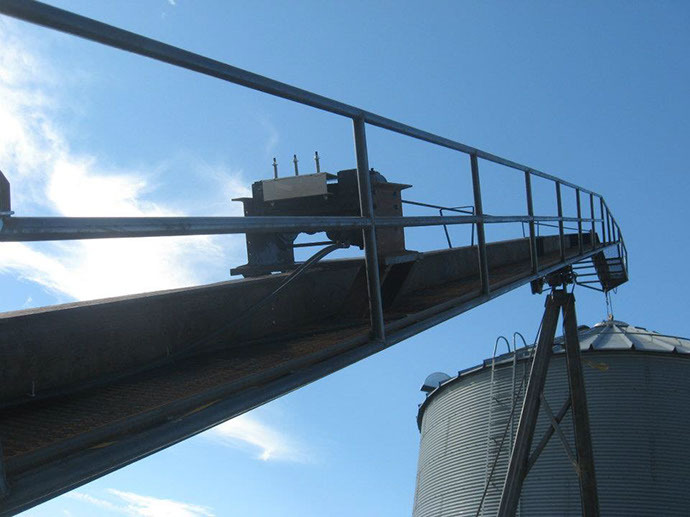 Fans: Airfoil blades, close tolerances, and dynamic balancing combine to give you Superior air flow and years of reliable performance. 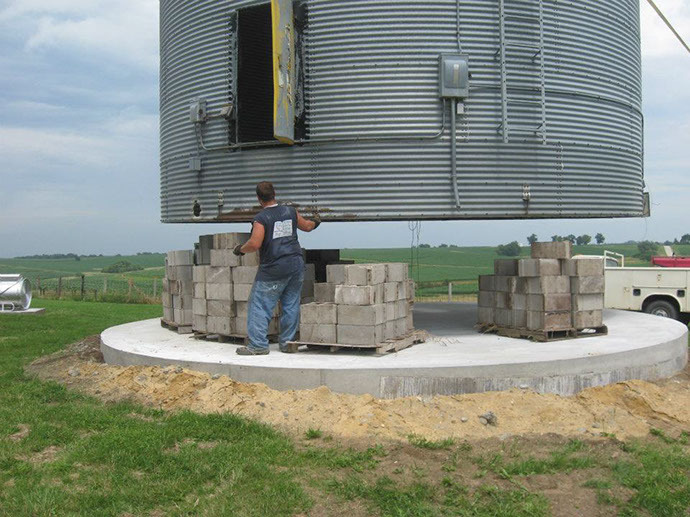 All housings are made of heavy duty galvanized steel to resist rust and provide long life. 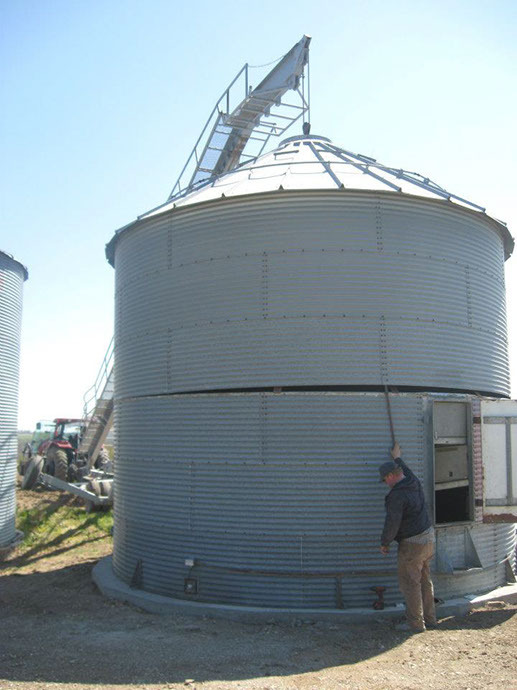 Full Sized Doors: With a Superior bin, you can expect a full sized door. 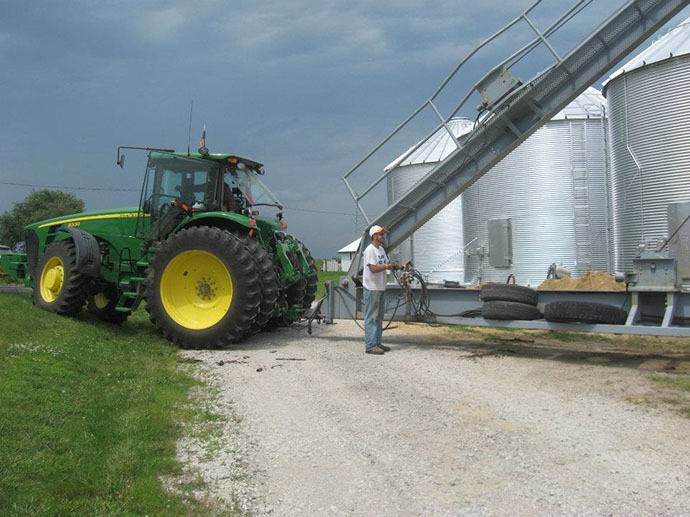 All inner door panels open fully with no tie rods or bars to unbolt or remove. 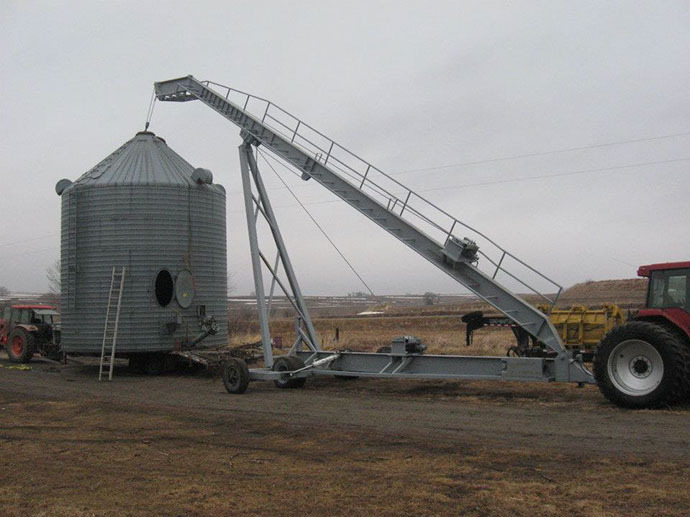 The outer door panel is double latched with one convenient handle connecting both latches. 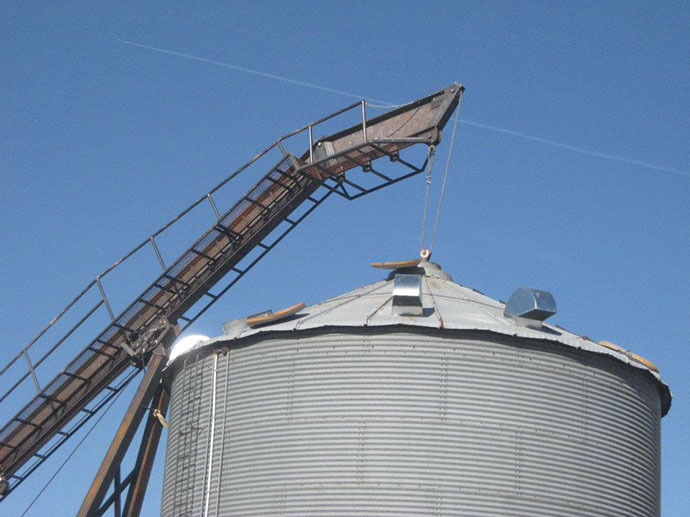 Roof Vents: Pre-punched roof vent panels retain their strength and provide a better seal. 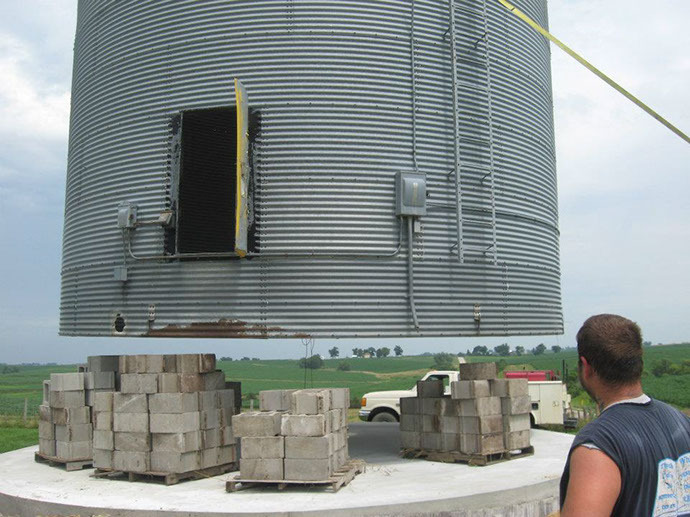 We use 20″ vent openings for maximum airflow. 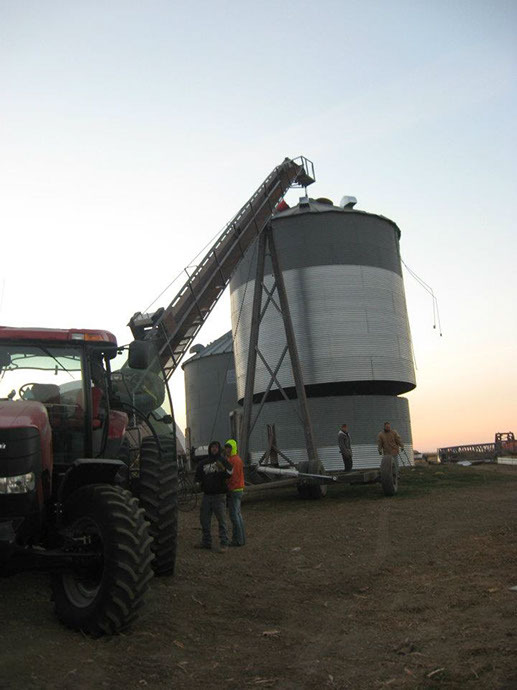 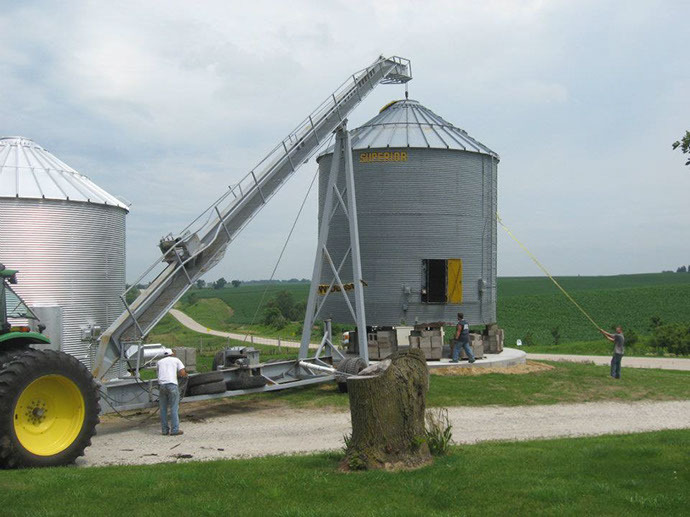 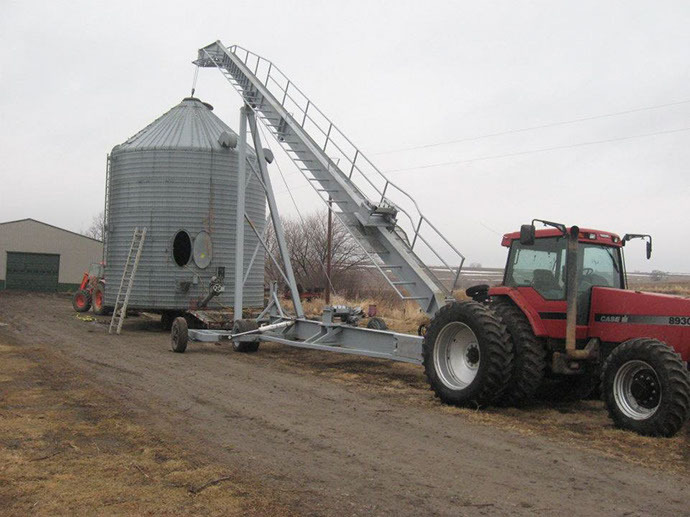 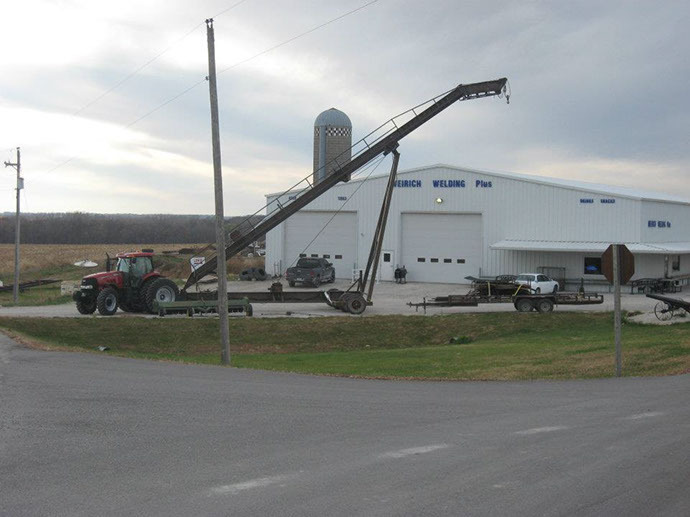 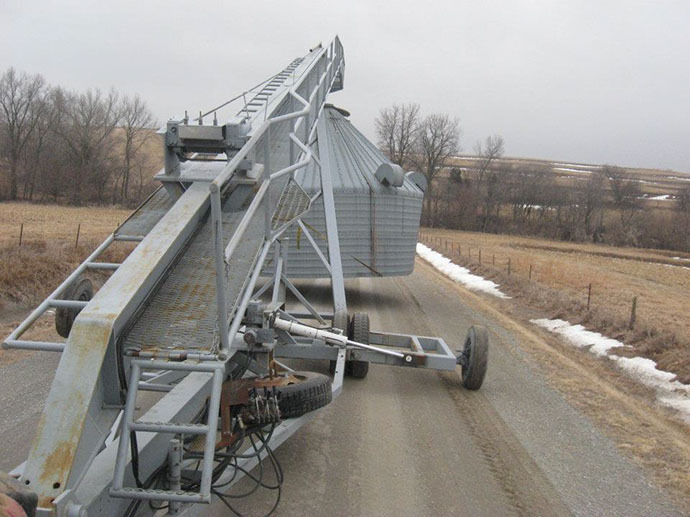 Weirich Welding Plus created a “One-Of-A-Kind” grain bin mover over 65 ft. long and able to carry more than 12,000 lbs.